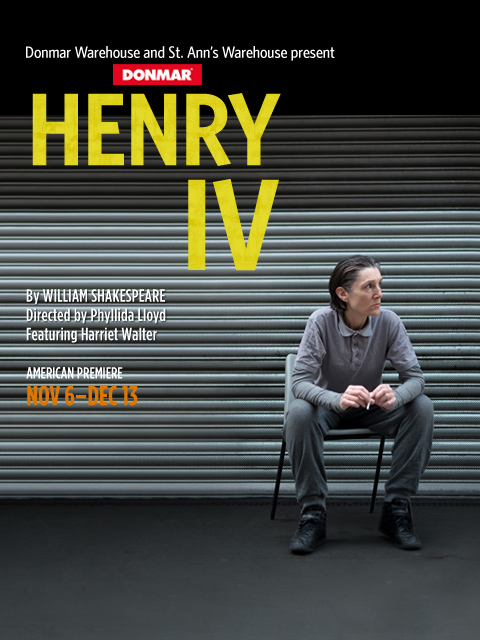 On the heels of the Donmar’s revelatory production of Julius Caesar, which empowered women to play Shakespearean roles normally reserved for men, director Phyllida Lloyd has set a second play, Henry IV, against the backdrop of women in prison. Harriet Walter, “one of the best Shakespeareans alive” (The Guardian), will once again lead a diverse and exciting all-female cast in Shakespeare’s monumental history play which travels to the heart of family, duty and country. St. Ann’s Warehouse is proud to open the Inaugural Season in our new home with this major event, which, with its in-depth outreach and engagement programs, has ignited a cultural and social conversation about gender, equality and aspiration on both sides of the Atlantic. Young women aged 13-18 in NYC! St. Ann’s Warehouse and Donmar Warehouse challenge you to make your own One Take Shakespeare by recording a 90 second video. Watch Kathryn, 17, performing as Mark Antony from JULIUS CAESAR here. Following the 7:30 pm performance please join us for an artist talk back. 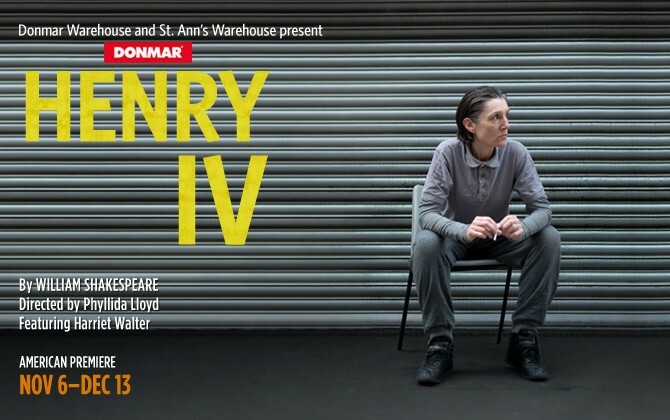 Following the 7:30pm performance, please join Actor Harriet Walter, Director Phyllida Lloyd, and St. Ann’s Warehouse Artistic Director Susan Feldman as they discuss their collaboration on the second production in the Donmar Warehouse all-female Shakespearean Trilogy.